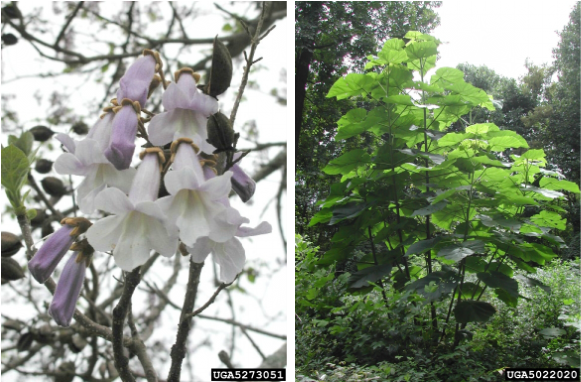 This fast-growing tree (it can grow 15' a year) competes aggressively with native species in disturbed areas in the mountains and foothills of North Carolina and other southeastern states. 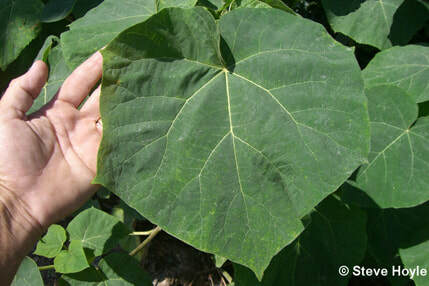 It can be identified by its large heart-shaped leaves (arranged oppositely along the branches) and its pretty lavender flowers (on mature trees). The flowers grow in upright clusters during the spring. 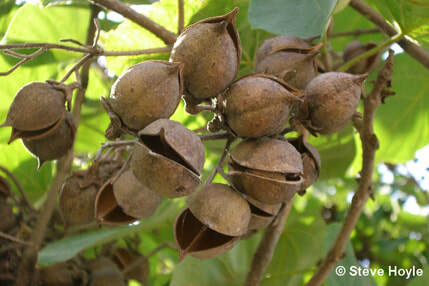 It produces sticky, green oval-shaped fruits and small, winged seeds. The tree can grow up to 50' and has smooth gray bark (with slight cracks).